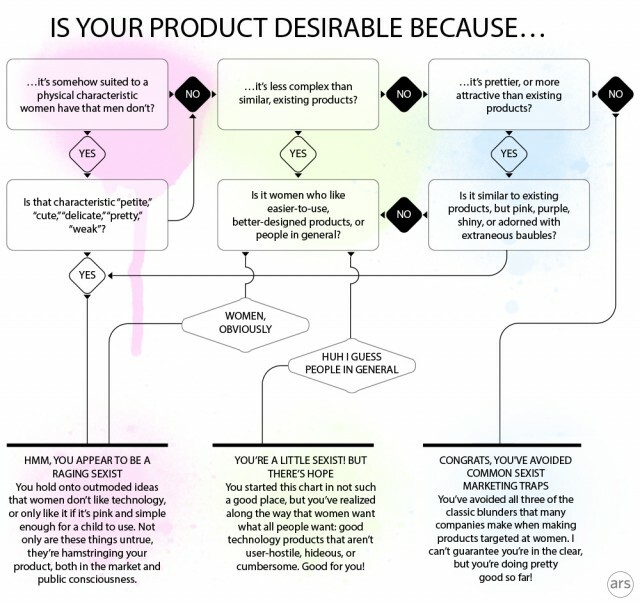 So many parallels to the motorcycle world in this article by arstechnica, "Flowchart: How Not to Design a Woman's Tech Product"
I find that it's a constant struggle for manufacturers of motorcycles/accessories/apparel to properly market to women. It's still a man's world, in that there are too many men at the top making these decisions. Instead of real women who ride and know what other women riders like / want / need. Newer PostMoto Garage SALE in San Francisco!